Most of the flowers are open on these plants of Allotropa. 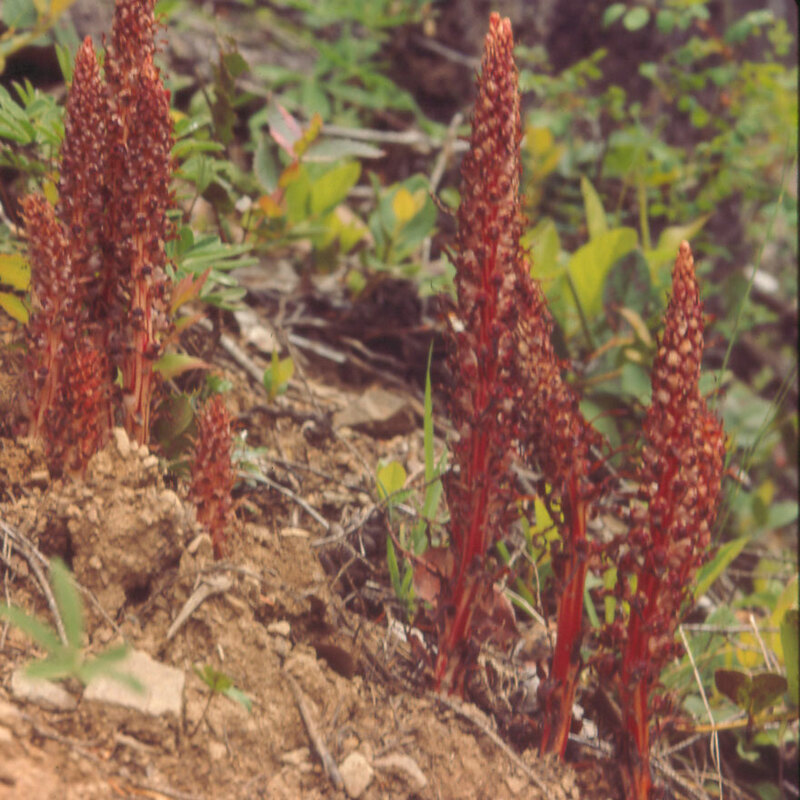 The flowers turn upward or outward, and that accounts for the name Allotropa, which in Greek means "turned differently." 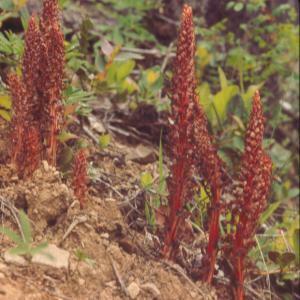 The flowers of the other monotropoids, such as Indian Pipe or the Snow Plant, point downwards.